Robots txt Generator is a useful tool for webmasters to create their websites Googlebot friendly. It is a necessary tool for all website owner. Every day search engine bot visit website to collect new pages. When search engine bot visits a website to index content, first visit in the robots txt file to generate permission. This file is placed within the root domain. If you permit the robots.txt file for visiting all the search engines like Google and Yahoo. The search engines will get permission to index the links. If you are a freelancer or website owner you need to add a robot.txt file to your domain root directory. First, disallow search engine to crawl the website. After complete, the development of your or client website gives permission to crawl all links. Keep in mind website link indexing depends on the robots.txt file. So be carefully generating the file. If you make any mistake to generate robot.txt file your website will be blocked by search engines being index. I suggest using Robots txt Generator to create the custom robots.txt file. 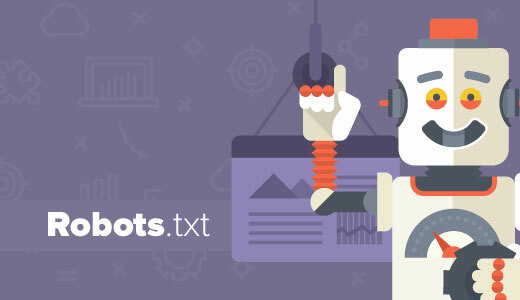 If you already generated a robots.txt file and need to create it higher you can use our software to create a custom robots txt file. You can allow or disallow robots.txt files for corresponding search engines by choosing them from the drop-down list. If you're adding the robots.txt file for the first time, You should not include the below-mentioned things. All the Media files that you don’t need to index within the search result. All the Image folders that you don’t need to index for search results. Generate effective robots.txt files that help ensure Google and all search engines are crawling and indexing your site properly. You can follow a number of the ideas mentioned below which is able to help you in optimizing the robots.txt file. Once a search engine reads the robotes.txt file it visits from high to bottom. The wildcard instruction can require all the patterns that square measure found within the resource locator. Don’t use a robots.txt file to permit the search engine you wish to index. The aim of the robots.txt file is to say the instruction that you don’t need to induce indexed in search engines. Thus your robots.txt just for require instruction. How to Generate Robots txt file? To generate robots.txt file simply complete the above form with your sitemap link and click on create robot.txt button. It generates a robot.txt file for you. Now download the robots.txt file and upload it in your root directory. You can also follow our video guideline to Generate robots.txt file instantly. We hope that you have generated a robots.txt file using our free Robots txt Generator online tool. Hope it will be helpful to develop your website search engine friendly. If you feel any dought don't forget to contact us about your problem.